Four British men have been sentenced a combined 4.5 years jail time for operating a website that afforded users illegal access to Hollywood movies, including Lionsgate U.K.’s The Expendables 3, before they were available in theatres. Prosecutors say the group – which included Steven Pegram (40), Mark Rollin (37), Paul Taylor (54), and Alan Stephenson (42) — defrauded Lionsgate, Warner Bros., 20th Century Fox and other studios of more than $11 million in combined box office revenue, according to the Motion Picture Association of America. Specifically, the group hacked Lionsgate’s U.K. server in 2014 through a third-party cloud-based content management service, accessing The Expendables 3 DVD screener and other content and then posting the title on their file-sharing website, TheFoundry.name. Lionsgate estimates it lost about $2 million on the scheme. Other hacked titles included Warner Bros.’ Godzilla and 20th Century Fox’s X-Men: Days of Future Past — the two movies suffering more than $5 million in lost revenue. 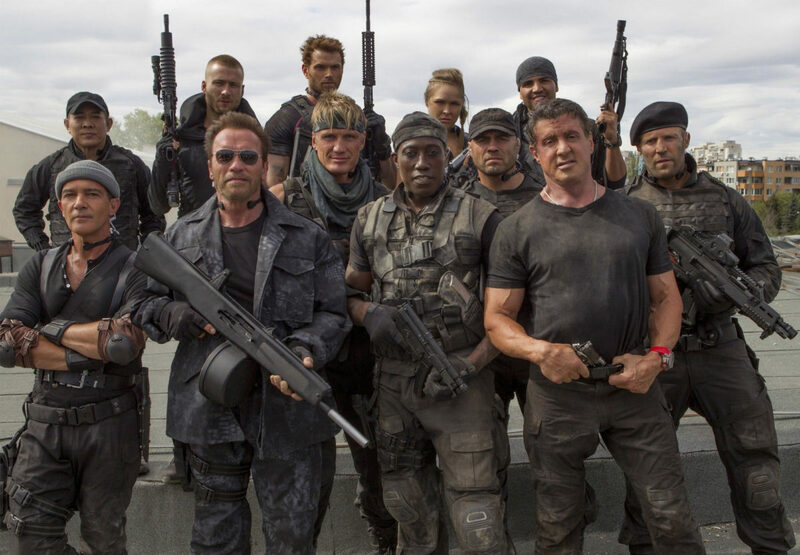 The Expendables 3, the last installment in Sylvester Stallone’s ensemble action franchise, resulted in numerous litigation settlements between Lionsgate and pirate sites, including Hulkfile, Played.to, LimeTorrents, Dotsemper and Swankshare. Rated ‘PG-13’ for sports action violence, language, and a scene of sensuality. 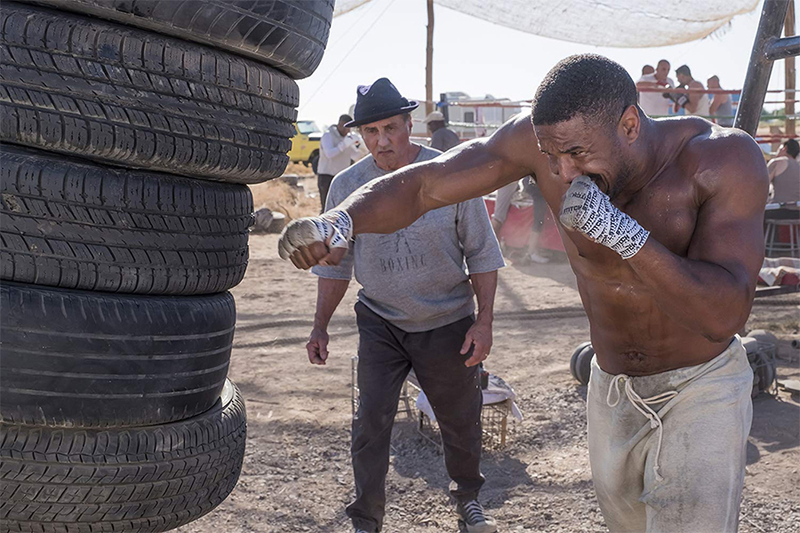 Stars Michael B. Jordan, Sylvester Stallone, Tessa Thompson, Phylicia Rashad, Wood Harris, Andre Ward, Russell Hornsby, Florian Munteanu, Dolph Lundgren. Given the premise used in 2015’s Creed to restart the “Rocky” franchise, this sequel is more or less exactly the movie the series’ fans were waiting for. The eighth film in the “Rocky” franchise continues the story of Adonis Creed (Michael B. Jordan), the young boxer who is still haunted by the legacy of his father, Apollo. Adonis faces a new challenge in the form of Viktor Drago (Florian Munteanu), son of former Russian champion Ivan Drago (Dolph Lundgren), who Rocky (Sylvester Stallone) famously defeated in 1985’s Rocky IV. The fact Apollo died as a result of an exhibition match against Ivan Drago gives Adonis added motivation, as he seeks retribution for his family name. But Rocky doesn’t think the match is worth it, pointing out Adonis has bigger priorities in his life now, such as starting a family with Bianca (Tessa Thompson). While the film serves as a natural sequel to both Rocky IV and Creed, it borrows a lot from Rocky III in terms of story structure. While much of the plotting fits in well with the “what happens next” soap opera flow of the “Rocky” movies in general, the film is bound together by the motif of legacy, in particular the influence parents and children can have on each other that transcends generations. In fact, two of the featurettes included with the Blu-ray are built upon this idea. The first is “The Rocky Legacy,” a 15-minute history of the “Rocky” films hosted by Lundgren that examines why the franchise has endured. The second is the seven-minute “Fathers and Sons” featurette, which takes a deeper look at how the desire to build a legacy impacts the characters involved. Interestingly, the film adds depth to the Drago character beyond his role as the cookie-cutter villain from Rocky IV. He blames Rocky for his loss of stature following their match, and through his son he seeks a measure of revenge as well, against the fighter now seen as Rocky’s protégé. There’s a six-minute featurette devoted to the casting of amateur boxer Munteanu as the younger Drago, and he certainly casts an intimidating shadow when standing next to Jordan’s Creed (not unlike seeing Lundgren’s towering frame over Stallone 33 years prior). The six-minute “The Women of Creed II” focuses on the other side of the equation, Thompson as Bianca and Phylicia Rashad as Adonis’ mother representing the impact his professional struggles have on his personal life. Finally, there are four deleted scenes running a total of 10 minutes, and a couple of them will be of particular interest to longtime “Rocky” fans. One features the funeral of Spider Rico, who was the first boxer Rocky was seen fighting during a sparring session in the first film back in 1976. This scene adds a bit of context to one of the film’s plot developments. Another scene serves as an epilogue to the main story, as the characters encounter each other in the locker room after the climactic fight. While the business of Hollywood is such that it would be unwise to rule out another sequel, the conclusion of Creed II leaves the characters and viewers in a place where it would be a satisfying conclusion to the series if the particulars involved chose to leave it at that. At least, until 2045, when the next entry sees Mickey’s great-great-grandson challenge the grandson of Clubber Lang to an MMA fight. Stay tuned, fight fans. It may have picked up just one Academy Award (Best Original Song) from its eight nominations, but A Star Is Born triumphed on both Redbox charts the week leading up to the Oscar ceremony Feb. 24. Warner’s 2018 update of the classic film story landed at No. 1 on both the Redbox kiosk chart, which tracks DVD and Blu-ray Disc rentals at the company’s more than 40,000 red vending machines, and the Redbox On Demand chart, which tracks transactional video-on-demand (TVOD), both electronic sellthrough (EST) and streaming, the week ended Feb. 24. 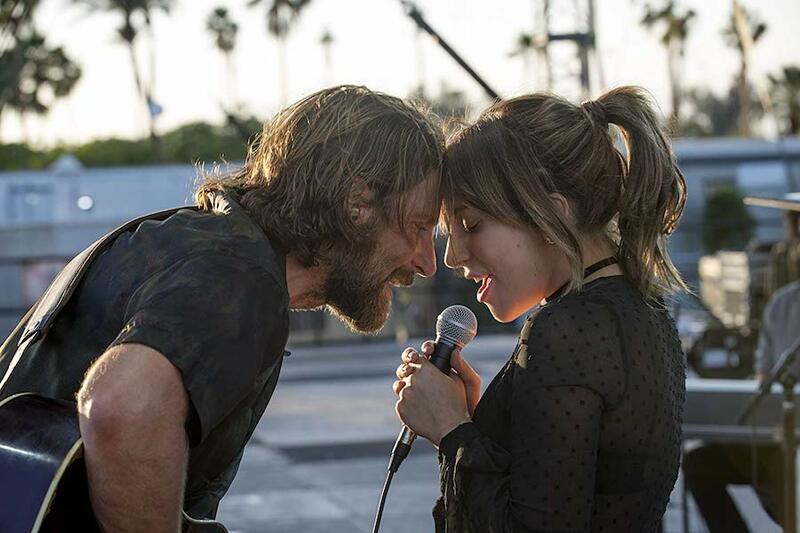 The film, which earned $210.9 million at the box office and debuted on disc Feb. 19, stars Bradley Cooper and Lady Gaga — both nominated for Oscars for their performances — as two musicians who come together on stage and in life in a complex journey through the beauty and heartbreak of a relationship struggling to survive. Four other new releases appeared on the Redbox disc chart for the week. Lionsgate’s Robin Hood, another retelling of a classic story, starring Taron Egerton as Robin Hood and Jamie Foxx as Little John, debuted at No. 2. Paramount Pictures’ Overlord, a story produced by J.J. Abrams about a team of American paratroopers who encounter Nazi super-soldiers, entered the chart at No. 4. 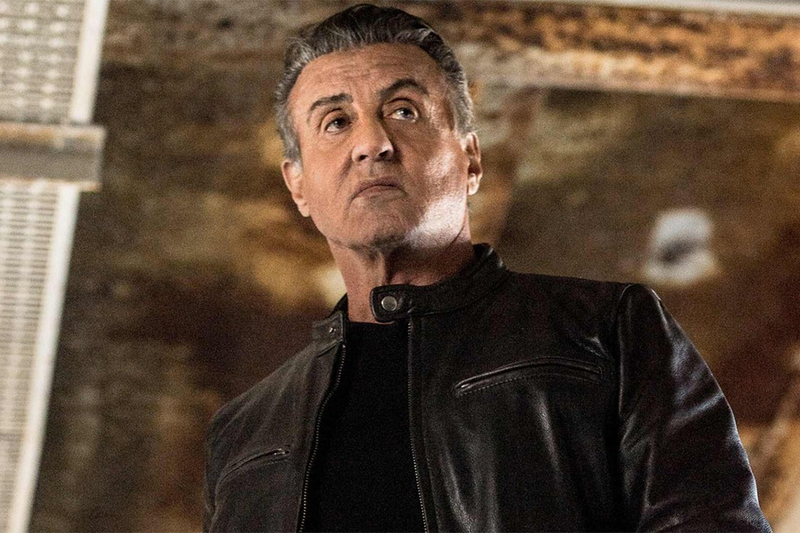 Lionsgate’s Backtrace, an action thriller starring Sylvester Stallone, debuted at No. 8. And 20th Century Fox’s Can You Ever Forgive Me? — which earned three Oscar noms, for Best Actress (Melissa McCarthy), Best Supporting Actor (Richard E. Grant) and Best Adapted Screenplay — entered the disc chart at No. 10. Fox’s Bohemian Rhapsody, which won all but one of the five Oscars for which it was nominated, including Best Actor for Rami Malek, finished its second week in disc release at No. 3, falling from No. 1. On the digital chart, Bohemian Rhapsody fell one spot to No. 2, behind A Star Is Born, which shot up the chart from No. 10 the previous week. Robin Hood took the third spot, followed by Paramount’s Tyler Perry comedy Nobody’s Fool at No. 4 (from No. 2 the previous week), Overlord at No. 5 and Can You Ever Forgive Me? at No. 6. Interestingly, two titles released in the fall of last year appeared on the digital chart. Sony Pictures’ Nov. 13 release Searching, which stars John Cho as a distraught father who sifts through his missing daughter’s digital footprint determined to find her, appeared at No. 9. And Universal Pictures’ Sept. 25 release Skyscraper, an actioner starring Dwayne Johnson, came in at No. 10. 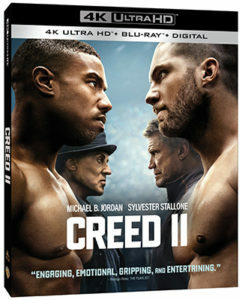 Warner Bros. Home Entertainment will release MGM’s Creed II through digital retailers Feb. 12, and on Blu-ray, DVD and 4K Ultra HD Blu-ray March 5. 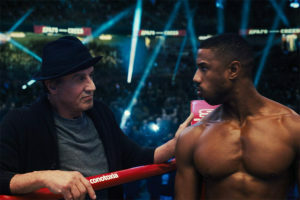 The sequel to 2015’s Creed and the eighth film in the “Rocky” franchise stars Michael B. Jordan as Adonis Creed and Sylvester Stallone as Rocky Balboa, the icons of boxing who confront their shared legacy when Adonis takes on the son of Ivan Drago, one of Rocky’s greatest adversaries and the man who killed Creed’s father in the ring. 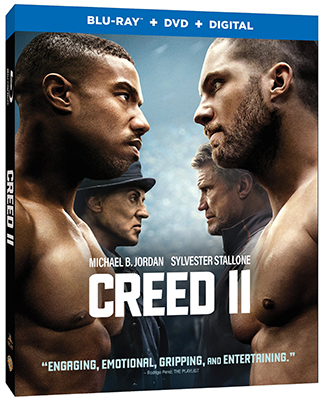 Directed by Steven Caple Jr., Creed II also stars Tessa Thompson, Phylicia Rashad, Wood Harris, Andre Ward, Florian Munteanu, Russell Hornsby and Dolph Lundgren, who returns to the franchise after playing Drago in 1985’s Rocky IV. The 4K Ultra HD Blu-ray combo pack will offer Dolby Vision HDR. 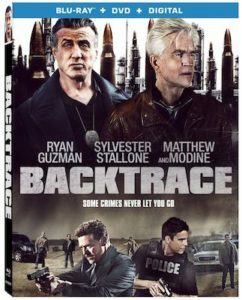 Lionsgate will release the action-thriller Backtrace on Blu-ray, DVD and digital Feb. 19. The film is currently available on demand. 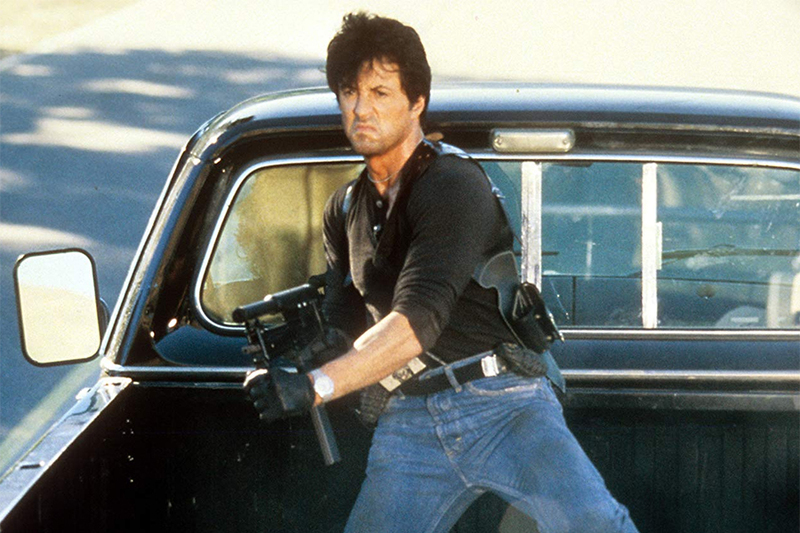 The film stars Sylvester Stallone, Matthew Modine, Ryan Guzman and Christopher McDonald in the story of the lone surviving thief of a violent armored-car robbery who is sprung from a high-security facility and administered an experimental drug. The Backtrace Blu-ray and DVD will include the featurette “Making Backtrace” and interviews with the cast and filmmakers. Shout! 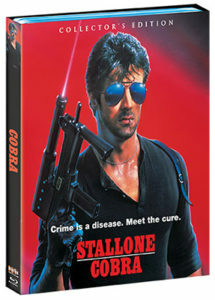 Factory’s horror imprint, Scream Factory, Jan. 22 releases a new collector’s edition Blu-ray of Sylvester Stallone’s 1986 cult-classic actioner Cobra. Stallone stars as Lt. Marion Cobretti, aka Cobra, a street-tough, big-city detective who does jobs nobody else wants or dares to do. Directed by George P. Cosmatos, the cast also includes Brigitte Nielsen and Reni Santoni. 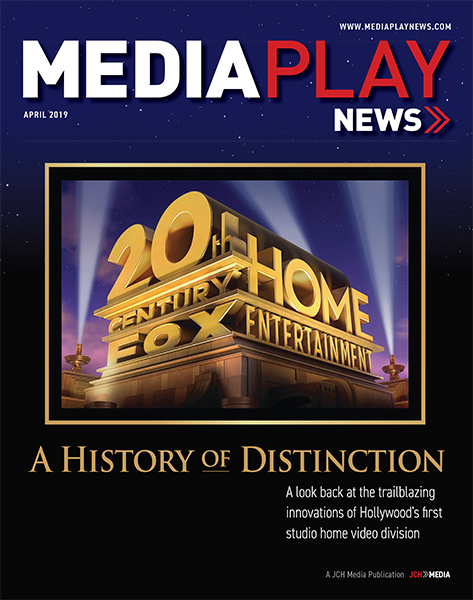 The new Blu-ray offers a new 2K scan of the film and several new extras, including “Stalking and Slashing,” an interview with actor Brian Thompson; “Meet the Disease,” an interview with actor Marco Rodriguez; “Feel the Heat,” an interview with actor Andrew Robinson; “Double Crossed,” an interview with actress Lee Garlington; and “A Work of Art,” an interview with actor Art LaFleur. Additional extras include an audio commentary with Cosmatos, a vintage featurette, photo galleries and the film’s trailers.